﻿ Eating bugs in Canada? Cricket reactor developed by Jakub Dzamba, McGill University. The United Nations is encouraging people to eat more insects but it’s not clear Canadians are ready to tuck in. Bugs are nutritious and they are much better for the environment than are animals according to a report by the Food and Agriculture Organisation. 2 billion people currently eat bugs like crickets, beetles and grasshoppers. The report notes some caterpillars in southern Africa and weaver ant eggs in Southeast Asia are prized and fetch high prices. Eating insects is not common in Canada but it’s getting more popular, says Jakub Dzamba. He is an architecture student at McGill University who is developing cricket farm systems. He’s working on one that could be used at home. “I came up with a cricket farm that basically herds crickets from one farm to another,” said Dzamba. 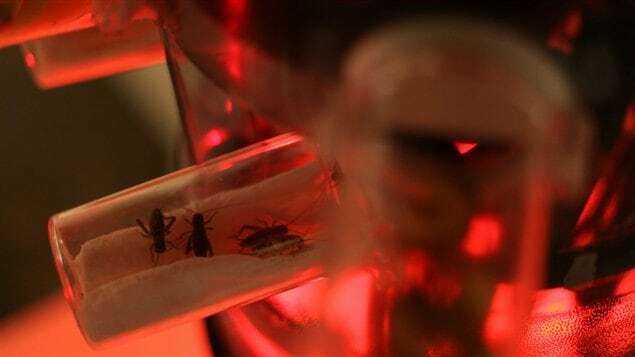 “…The reason for that is to get the crickets away from their own waste and that keeps them cleaner.” The transfer occurs with a system of levers and is escape-proof so the crickets stay contained. The farm systems will cost between 200 and 300 dollars. Current cricket farms are geared for raising bugs for pets and do not operate at high enough hygienic standards. For those who don’t want to raise bugs in their own fridges they can go on line and order them from suppliers in the U.S. The farms are however likely to be a big hit in Oaxaca, Mexico where people are experiencing food security issues. 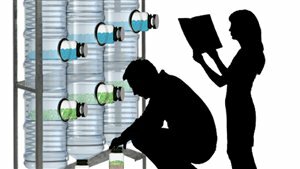 A family could buy a farm and just use their own kitchen bio waste to feed the crickets. They could either sell the crickets or use them as food. 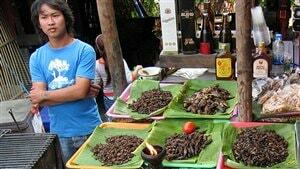 Fried crickets are a popular food item there. Not many Canadians eat insects but Dzamba thinks more are becoming open to the idea. He works with Toronto Chef Nathan Isberg who has crickets as a regular item on the menu at his restaurant and has prepared them at other eateries as well. Canadians also have the chance to taste insects at Future Food Salons. These are events organized by a company called Alimentary Initiatives which promotes innovative foods. Bugs for food are good for the environment because they emit far fewer greenhouse gases than do meat animals. They also need only two kilos of feed to produce one kilo of insect mass. In comparison, cattle require 8 kilos of feed to produce one kilo of meat. Insects can be fried, boiled, baked and ground up for use as flour or other elements in different food preparations. Tagged with: bugs, eat, environment, food, insects, U.N.
Where can I find human grade insects? I am very interested in starting to add insects to my diet for many reasons but I don’t know where to start! Thank you for all the help you can get me.